When you’re feeling under the weather, does activity help or hinder? Most experts agree you can still work out when you’re sick as long as you listen to your body and not push it. However, if you have a chronic health condition, such as asthma, you may want to consult your doctor first before exerting yourself. 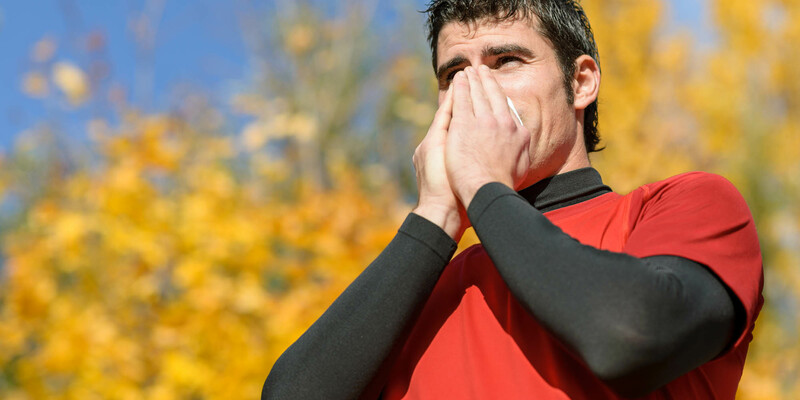 Keep in mind, everyone’s tolerance level for colds and sniffles varies — one person feels like he can sustain a normal workout routine, while another feels too draggy to even consider it. 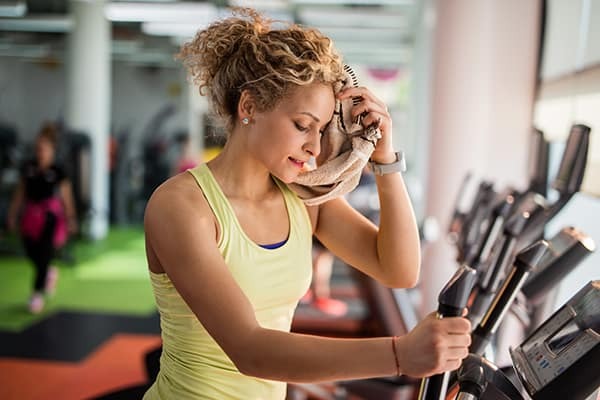 But even if you fall into the latter category, you might still want to find the wherewithal to hit the gym — just be sure to clean the gym machines when you’re done with them. 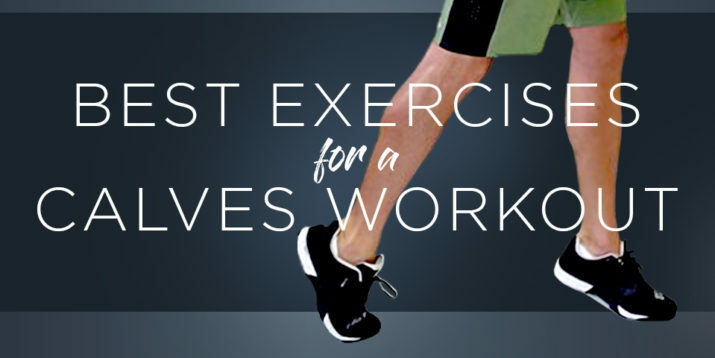 “Studies show that exercise is beneficial because it can boost your immune system before, during and after sickness,” says Nicola Finely, M.D., integrative medicine specialist at Canyon Ranch in Tucson. “Exercise allows your white blood cells to circulate faster throughout the body, and white blood cells are the immune warriors that fight off infections,” explains Finely. The American College of Sports Medicine backs that up, too, stating that regular and moderate exercise lowers the risk for respiratory infections, and that consistent exercise can enhance health and help prevent disease. Working out almost daily at a moderate pace keeps the immune system strong. But, overtraining and pushing yourself too hard for too long “can decrease the levels of IgA, which are antibodies on the mucosal membranes, such as the respiratory tract.” These antibodies are needed to battle bacteria and viruses. According to The American College of Sports Medicine (ACSM), moderate physical activity done every day, such as yoga or jogging, is the most effective way to keep the immune system strong. “Keep the intensity at a moderate-to-low pace,” cautions Finely. For example, if you typically go for a 30-minute run every day, take a brisk walk instead. 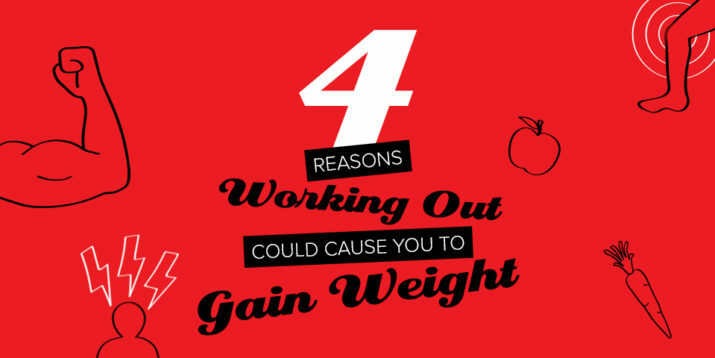 And if you start to feel worse with exercising, then you should stop, she says. You’re tired, you’re running a fever, or you’re especially achy. “I’d suggest any patient refrain from exercise if fever is higher than 101.5 degrees Fahrenheit,” says Finely, who points out that a fever is considered any temperature over 100 F. Finely says, exercising during this time increases the risk of dehydration, and can worsen or lengthen the duration of your cold. There’s no great advantage in tiring yourself out when you’re feeling ill. After all, you don’t want to risk making yourself sicker, and taking a few days off shouldn’t affect your overall performance. “When you get back to exercise, make sure to gradually increase your level as you begin to feel better,” she advises. Exercising during a cold can be beneficial, but don’t push it. Remember, it can help flush bacteria out of your lungs and airways and reduce your overall chances of getting a cold in the first place. The important thing is to listen to your body.